When I was in second grade, I remember reading The Snowy Day by Ezra Jack Keats for the first time. The colors and shapes wove a spell over me. This was a world that I wanted to play in. Now, as a grown up, I get to live, play, and march through the snow in Brooklyn, where Keats set his story. 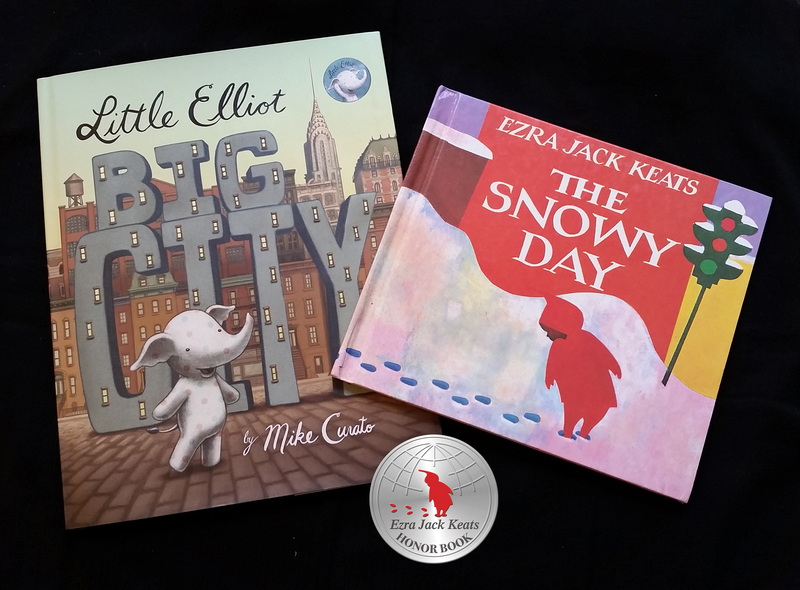 This past month, I was privileged to receive the Ezra Jack Keats New Illustrator Honor for Little Elliot, Big City. The little boy in me who grew up reading The Snow Day is quite proud. I hope to follow in Keats’ snowy footsteps, creating meaningful books for young readers. Elliot and Peter are friends! You can purchase them both from MerryMakers. 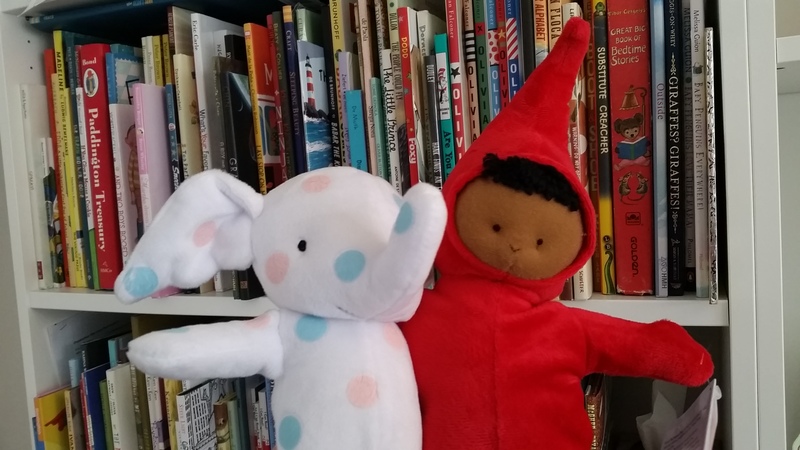 You can check out the Ezra Jack Keats Foundation’s website for more details. 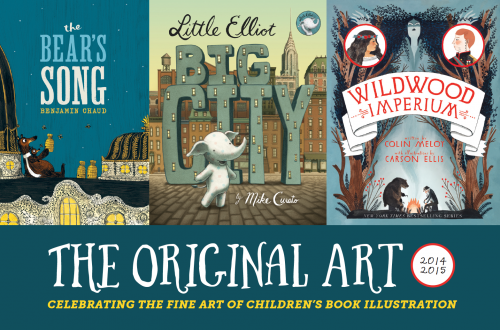 If you happen to be in Memphis between now and March 16, you can see original art from Little Elliot, Big City (and many other children’s books) on display at Memphis College of Art as part of the Original Art Show. The exhibit began at the Society Of Illustrators in New York City and is now traveling the country. Little Elliot, Big City received the Founder’s Award at the show last October. The opening reception at MCA is this Friday, February 20, 6 to 8PM. Click here for more information.